Houghton Conquest Circular Walk 3 at Houghton Conquest Walking RouteThe route uses footpaths to and from the neighbouring parish of Wilstead passing through Chapel End and Thickthorns. 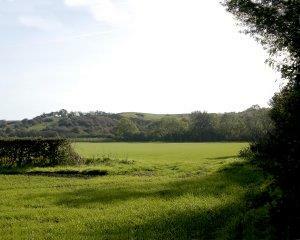 The walk gives splendid views of the Greensand Ridge to the south and crosses flat open countryside. Start/Finish Point: Start from Mill Lane, Houghton Conquest . This walk can be started in Wilstead. Start Nat GR: TL046421. The route uses footpaths to and from the neighbouring parish of Wilstead passing through Chapel End and Thickthorns. The walk gives splendid views of the Greensand Ridge to the south and crosses flat open countryside. How to get there by car/Parking: The village can be reached by road from the A6 (Bedford -Luton) or from the B530 (Bedford - Ampthill) roads. There is no parking in Mill Lane. Parking is available in the Village Hall car park but may be limited if other functions or events are taking place there. On-street parking in available elsewhere in the village. Please park thoughtfully.